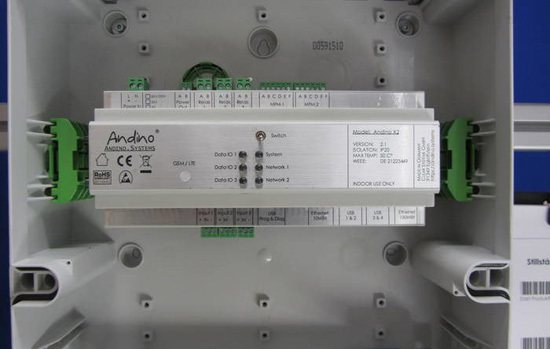 Andino X2 from Clear Systems is, like the little brother the X1, a motherboard for a Raspberry Pi 3 in a DIN rail housing. It is equipped with a built-in 15-W power supply (85 V to 230 V). Alternatively to the above mentioned, a power supply with 24 V is possible. The X2 has numerous interfaces and can also be equipped with two expansion slots for additional interfaces such as CAN. The product has an Arduino-compatible controller for signal preprocessing, eg. take over the debouncing of the inputs. In addition to the four USB and the 100 MBit LAN interface of the Raspberry Pi, the Andino X2 has the a range of further interfaces. The company shows the CAN-related product at the Embedded World 2019 exhibition in Nuremberg, Germany from 26 to 28 February in hall 3A, booth 629b.